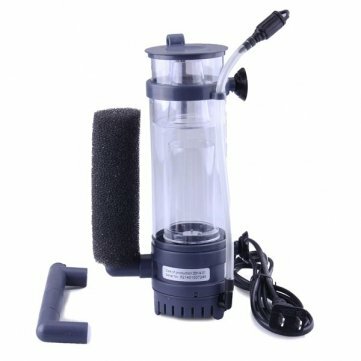 Souked Boyu WG-308 Aquarium Internal Hang On Protein Skimmer 120L/H by Souked at The Primavera Blog. MPN: SKUSKD1370459. Hurry! Limited time offer. Offer valid only while supplies last. Feature:?The product is produced by Seiko from the plexiglass,transparency,clear and convenient. ?Imitation of the natural zoology. View More In Water Filter Cleaners - Page 7. Feature:?The product is produced by Seiko from the plexiglass,transparency,clear and convenient. ?Imitation of the natural zoology. ?Safe and reliable quality with device in side to prevent overheat. ?Assemble and disassemble easily for cleaning. ?Integration design, multiple patented technology ?Protein and particulate organic matter decomposition from the good effect of high oxygenProduct Attributes: Model:WG-308 Model WG-308 WG-310 Size 11.7x8.5x26cm (4.61x3.35x10.24Inch) 11.7x8.5x29cm (4.61x3.35x11.42Inch) Volt(V) 220V-240V Freq(Hz) 50/60Hz Power 6W 8W Flow(L/h) 120L/h 150L/h If you would like choose the other one,please chick the Model number.Package Include:1 x Protein Skimme Note:1.Due to the light and screen difference, the item's color may be slightly different from the pictures. Please understand. Make sure you don't mind before you bid. 2.Please allow 1-5mm differences due to manual measurement. If you have any questions about this product by Souked, contact us by completing and submitting the form below. If you are looking for a specif part number, please include it with your message.